The development comes a day after the network denied a request by the Republican National Committee to feature a representative of the party’s views during the Obama special. Conservatives for Patients Rights requested the rates to buy a 60-second spot immediately preceding ‘Prescription for America’. No wonder Dear Leader whines about FOX News. 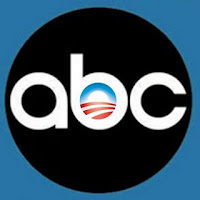 More… Conservatives for Patients’ Rights (www.cprights.org) has done some donor research that reveals that ABC employees donated more than $160,000 to Obama’s campaign and less than $5,000 to McCain.